If you are a fan of historic outdoor knife patterns, I am about to make your day. Ka-Bar is about to release one of the most accurate recreations of Horace Kephart’s iconic knife design to date. The KA-BAR BK62 Kephart Knife will be released in Ka-Bar’s Becker line based on an excellent original Kephart knife that belongs to Ethan Becker. You can learn more in the video below. KA-BAR’s newest addition to the TDI line is likely it’s most discreet. The new Shark Bit has the familiar angled blade to handle relationship for which the rest of the TDI knives are known. 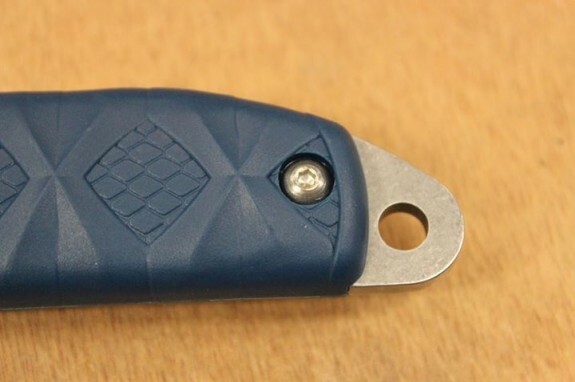 However, unlike previous offerings, the Shark Bit is made completely of polymer – Ultramid® to be specific. 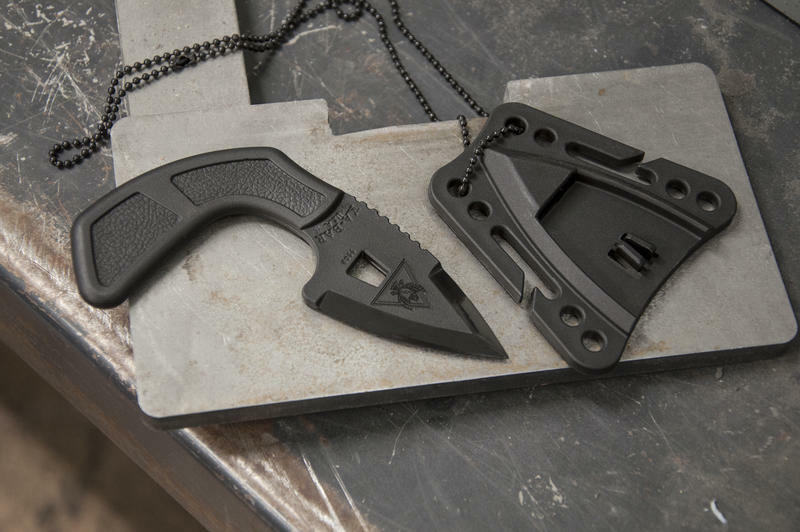 The knife and sheath are completely non-metallic except for the included ball chain neck lanyard which does not have to be used. The sheath is worth pointing out in some detail. Many manufacturers make non-metalic knives and then use metal eyelets or clips in the sheath which, of course, defeats the purpose of a non-metallic knife. 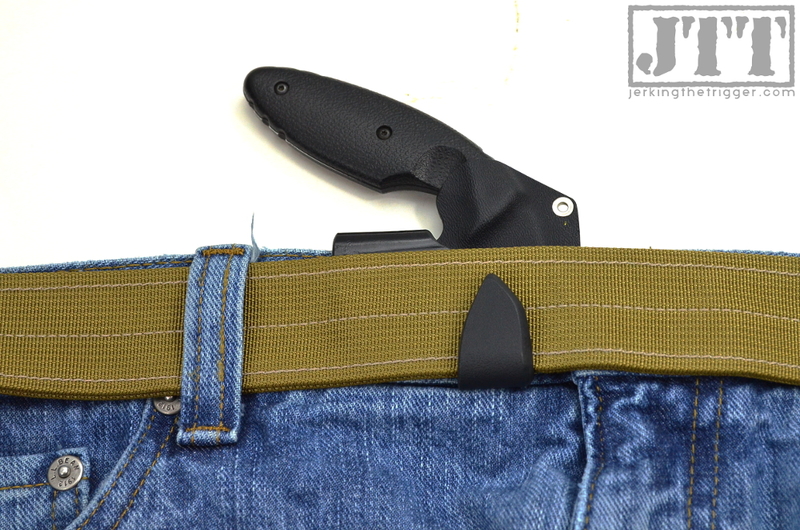 The sheath KA-BAR includes with the Shark Bite appears to be truly non-metalic and features enough attachment points to allow for a variety of carry methods. The blade is 2.625” long (legal in most jurisdictions) and the overall length is 5.125”. It weighs under 2.5 ounces and is made in the USA. Check out the TDI Shark Bite at KA-BAR. Ka-Bar is reintroducing the Ek Knives brand under the name Ka-Bar Ek Combat Knife Company and they officially released their first knife, the Model 4, today. The Model 4 manages to look both very modern and unmistakably like an Ek at the same time. It features a 6.625″ double edge blade that is ground 1095 Cro-Van steel and given a parkerized finish. The handles are made from texture glass filled nylon which is a functional choice for a knife like this. 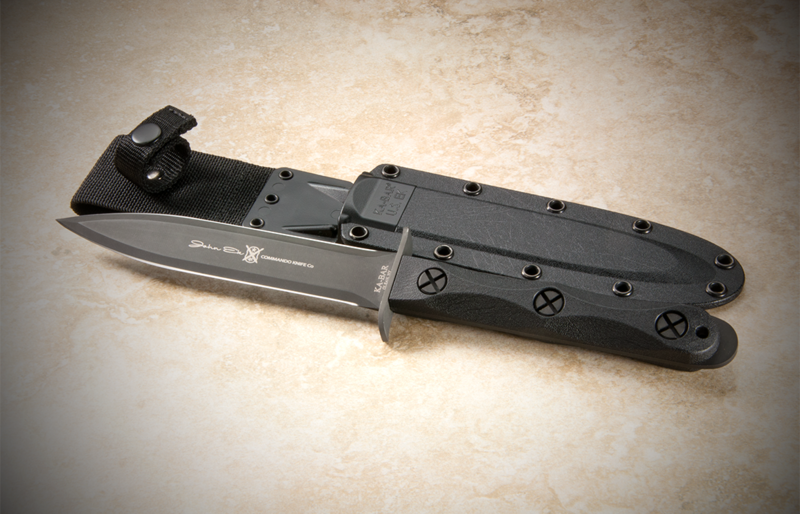 The sheath is a self-locking design that is similar to Ka-Bar’s other hard sheaths. It warms my heart to see a classic back on the market. Check out the Ek Model 4 at Ka-Bar. You can see more about the history of of Ek Knives at EkKnives.com. Ka-Bar brought Mike Snody on board earlier this year to develop some new knives. We will see the firsts of those designs in 2014 including this knife (below) that Ka-Bar has been teasing on their Facebook Page. I am a big fan of the Ka-Bar TDI and I know several of you are, too. It is inexpensive, compact, and intuitive to use. It also happens to be one of the easiest to carry fixed blade knives of all time. The sheath that comes with the TDI knives is functional but it is bulkier than it needs to be and could have better retention. 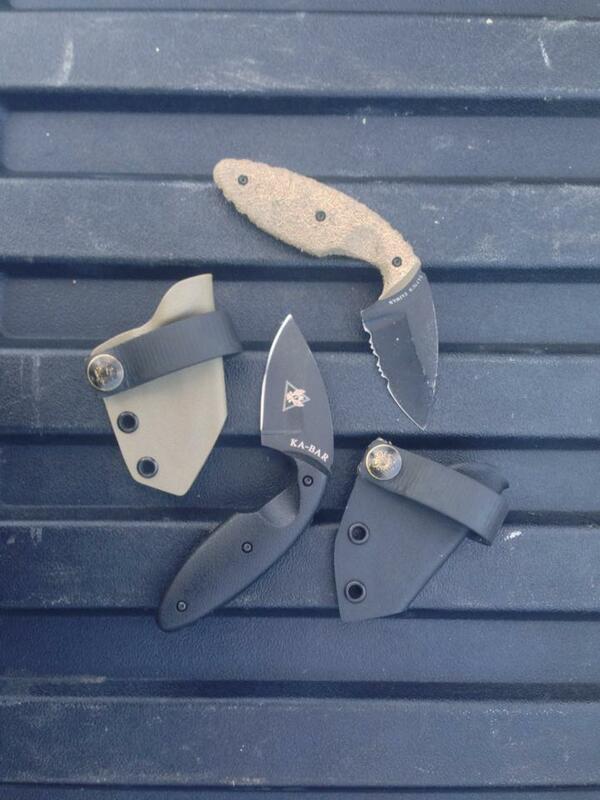 Thankfully, there are numerous kydex benders who make excellent sheaths for the TDI. One such kydex bender is Peter Janda of FIN Designs who has been making kydex for the TDI longer than just about anyone. The FIN Designs Ka-Bar TDI sheath is designed to be carried inside the waist band. 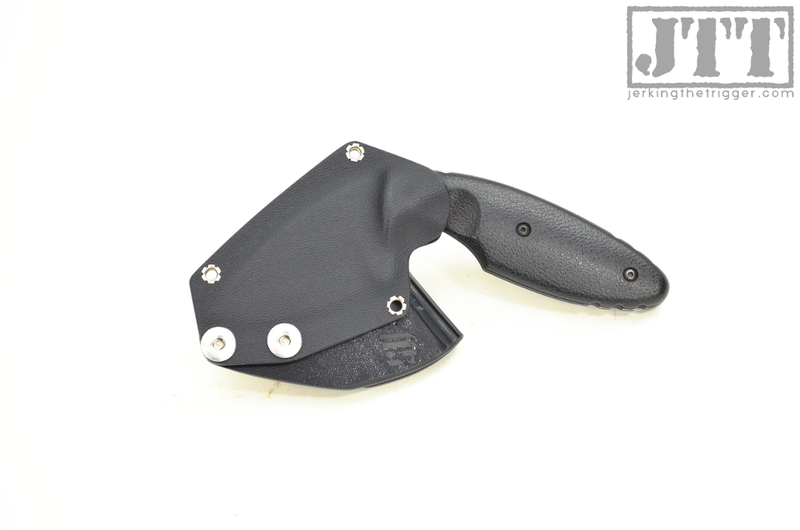 The sheath itself is a pancake design with small rivets that keep bulk to a minimum. The retention is set fairly aggressive. It does a great job of retaining the TDI. It provides excellent ease of access thanks to an aggressively dished out grip area which allows the wearer to bury their index (or pinky finger in reverse grip) deeply into the finger choil of the knife. The belt clip is where most of the magic happens. The clip serves to both keep the sheath on your belt during the draw and keep the grip of the TDI tucked into your body for concealment. 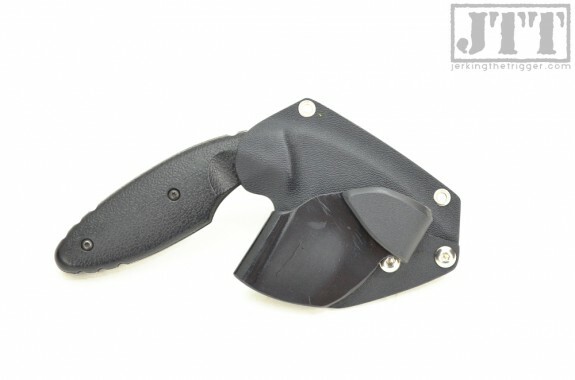 The clip is made from kydex and shaped so that it flairs widely to one side and the curls back to the middle of the sheath where it hooks under the belt. This creates a wing of sorts that uses your belt’s tension to pull the handle close to your body. The hook that grips the bottom is fairly long and has never failed to retain the sheath during my practice draw strokes even with a narrower belt than intended. It is an extremely clever and functional design that is also very easy to install or remove from your belt. The fit and finish is good enough overall. There are no sharp edges, in fact great care has been taken to soften the edges. However, the edges are a little rough in spots. It does not affect function. The rivet work could be a bit cleaner as well but mine has held up well to daily use. It is considerably more comfortable to wear than the original sheath. It has a very rounded profile that prevents hot spots well. I wear mine in the appendix position and mostly forget that it is there. The sheath also conceals very well. It basically completely disappears under a light shirt thanks to the clip design. I am extremely pleased with this sheath. It is reasonably priced and very functional. The clip design is what makes the whole thing work and it certainly does work. Check out FIN Designs to see all the available options. 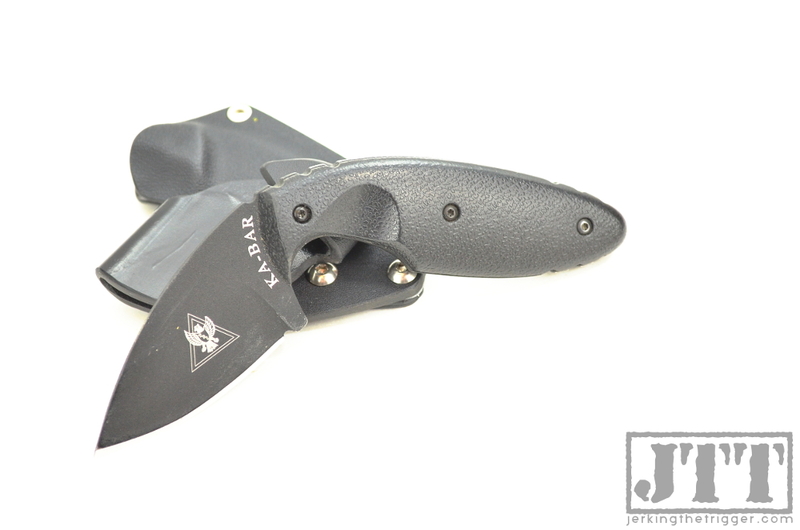 I am a big fan of the Ka-Bar TDI as a compact, easy to carry, and extremely affordable fixed blade knife option. I know several of you are as well so I try to highlight the various sheathing options that I come across. I recently came across Veil Solutions and their Raptor sheath. 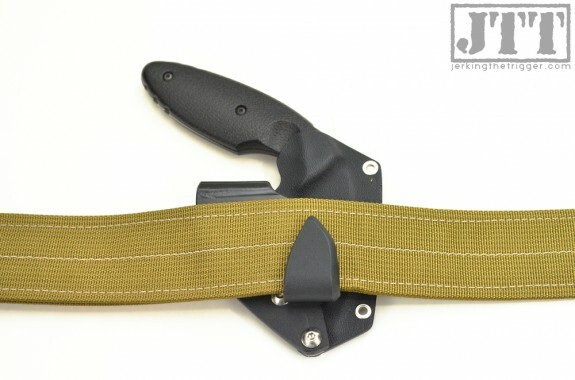 The Raptor sheath is designed to carry the TDI in a somewhat horizontal position on the belt with the handle facing in toward the wearer’s center line. It is formed from Kydex and features a Pull-the-Dot style belt loop which can be switched to either side and can fit belts up to 1.75″ thick. They offer it in a number of colors. If you don’t already have a TDI, Veil Solutions can add one to your order at a very attractive price. They will even stipple the handle for an additional $5! The Eskabar is the result of merging the best parts of two popular neck knives. The Eskabar’s handle is taken from the ESEE Izula and the blade profile is taken from the Becker Necker. The end result is a functional knife with a very lofty pedigree. The handle of the ESEE Izula should be praised for its versatility. The genius of it is that it isn’t too complex. There are no unnecessary contours or finger grooves. There is nothing that forces you to hold it any one way. It is simple and it works. The blade of the Becker Necker is a broad drop point with plenty of belly and long flat area near the handle. It is at home dressing a deer or doing fire prep. The belly makes rocking cuts and skinning a breeze while the flat portion of the edge is useful for cutting where more leverage is needed, like notching. The Eskabar will be available anywhere Ka-Bar Knives are sold.